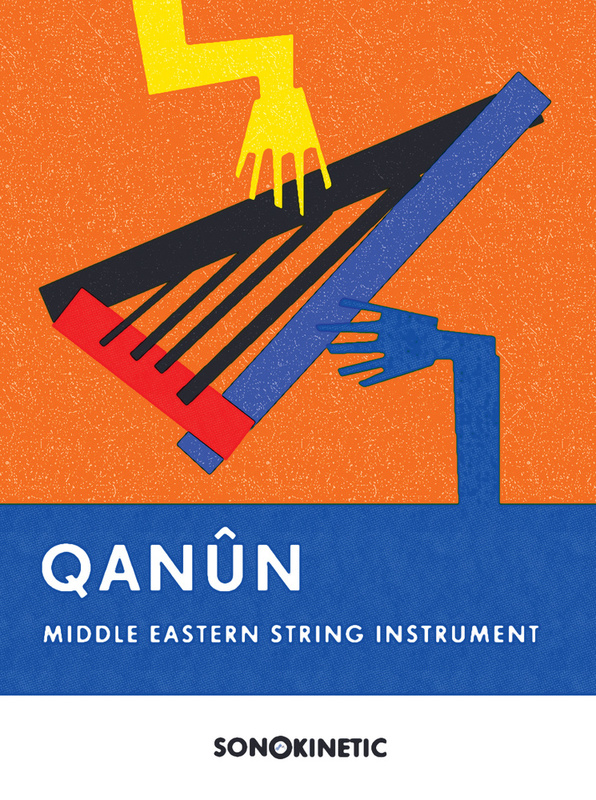 Qanûn is part of Sonokinetic's range of Arabic sampled instruments, which also includes Ney and Kemence. A qanûn, for those who don't know [Like me — Ed], is a type of large zither, and Sonokinetic's example is represented by some 14,934 samples, all of which amounts to about 6.6GB. Qanûn's Kontakt interface is extremely playful and designed to look like some kind of Turkish smoking room. On either side of a central arch are what look like decorative wall panels. The one on the left has a slider in its middle, which moves between close-mono to stereo-overhead mic samples. The right‑hand panel is where the user selects between Songs, Improvs and Multis. When Songs is selected, a list of 10 options appears in a glass jar otherwise filled with virtual smoke. Each option brings up a collection of phrases with the same time signature and original bpm. Clicking the Improvs button fills the glass jar with 10 improvisation options that are identified by their Makam (ie. scale or melodic mode). Once again, variations appear on the keyboard for triggering. The Multis option leaves the glass jar empty apart from its smoke, as it simply calls to the keyboard multisamples for using in any style. Elsewhere on the interface there is an illustration of an Aladdin's lamp. It looks inert, but the manual reveals that the lamp actually controls the convolution reverb level. Clicking on it and dragging upwards makes its green halo grow in size, increasing the effect amount. It's not the most precise tool, but it does the job. Another control is disguised as a decorative hourglass. Although Qanûn uses adaptive tempo‑sync'ing to automatically lock the sample playback to tempo, the hourglass image adds something called Intelligent Time Machine, which locks the samples to half or double time when extreme tempos are being used. This is because large tempo changes can affect audio quality, but the hourglass also has the ability to glow red if there is a problem, indicating it should be activated! In terms of performance options, the root key of the samples can be shifted by pressing the relevant note on the Kontakt keyboard; the mod wheel position determines where each sample starts, and there are a set of keys that trigger harmonic endings to phrases. 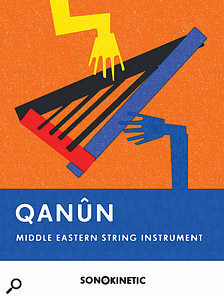 It's fair to say that Western musicians brought up on rock & roll wouldn't stand a chance of performing the songs or improvisations provided by Qanûn, and in that respect it's rather valuable. Playing the multisamples is not quite the same, but the samples make a welcome alternative to more common stringed instruments. Multiple round robins and velocity layers allow for reasonably realistic performances and the sampling quality is up to Sonokinetic's usual high standard.